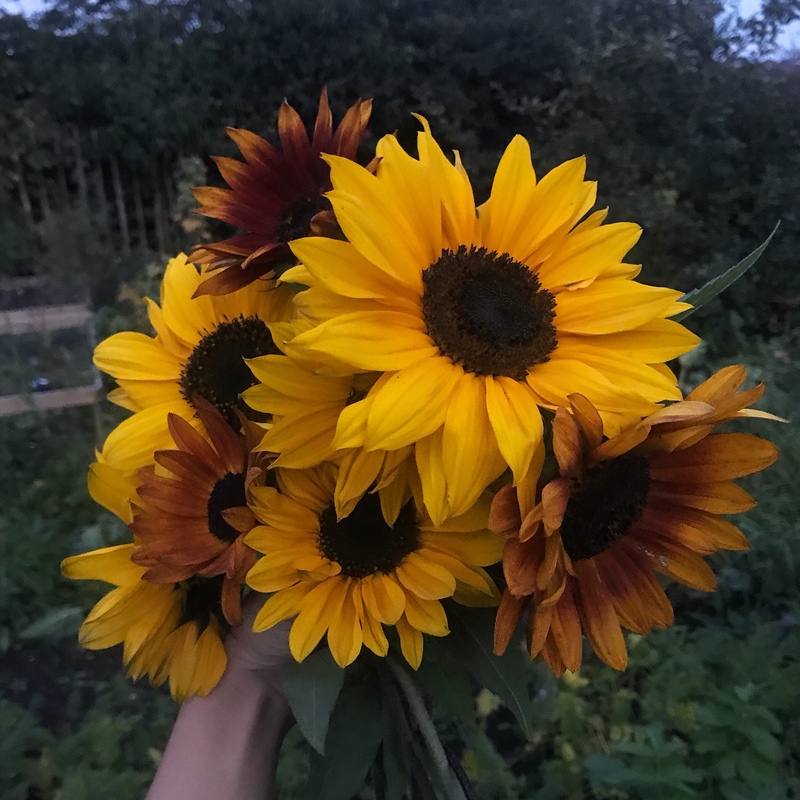 Saving seed has become an important part of my allotment practises this year and I’ve come to realise that It’s something everyone should be doing! Not only are seeds themselves such beautiful things to study close up, but the more you grow and preserve your seed, you are in turn developing the variety to become better adapted to your growing in your soil and micro-climate conditions. Here are my 5 reasons why you should save your seed! Even though seeds are comparatively cheaper than plants, when you consider the sheer amount of seeds that you end up buying each year, it soon adds up! Especially if you are interested in growing unusual seeds and heritage varieties. Seeds are free to collect and you’ll have plenty for sharing with others too. Seed swaps are an amazing way of connecting with other gardeners around the world, to share and discover new varieties of food and plants to grow. They can take place across social media, forums, or through organisations such as the Hardy Plant Society. Us gardeners accumulate so many seeds from magazines and end of season sales, yet sometimes we won’t even use them! You may not have enough space for it in your allotment or garden, perhaps you aren’t really that keen on the taste, or it might not fit your gardening principles or plan. For whatever reason, you might as well the seeds to someone who will appreciate them. I’m pretty sure that most gardeners have hoarder characteristics, are you with me? I could find a scrap piece of wood and know that ‘this will come in handy for something”. Saving seed means you can grow new varieties but still go back to some of your unusual favourites in years to come. Your collection will expand over time and you’ll have a record of all the varieties you have grown. Saving seed is so easy! 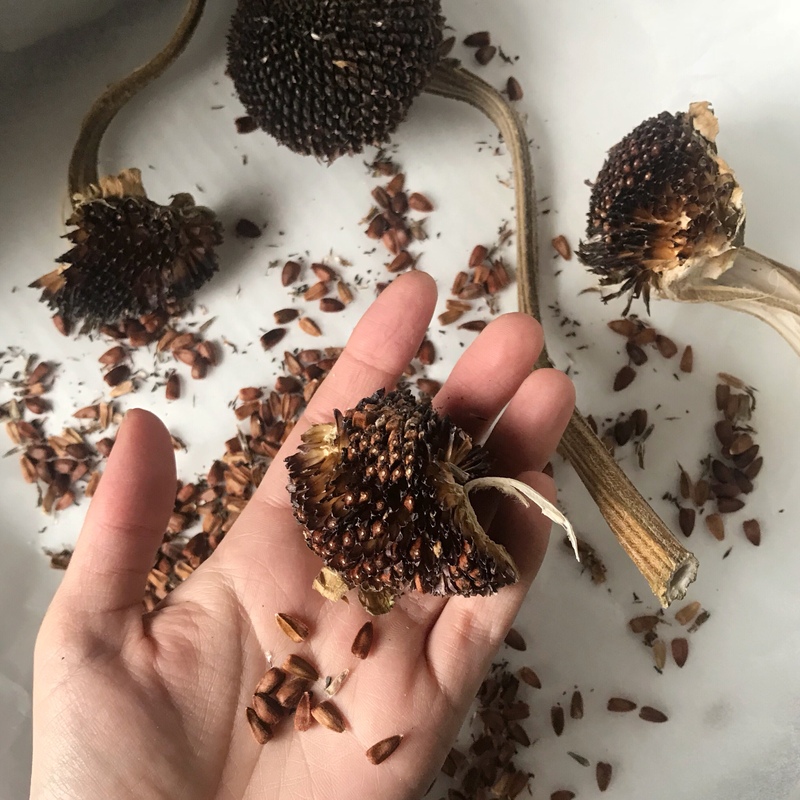 If it’s a flower, just wait for the seed heads to dry out, cut them stems off, tip head first into a paper bag and shake out all the seeds into a suitable container. If it’s a fruit or vegetable, generally speaking you scoop out the seeds, wash them thoroughly and allow to dry. Ok so i’m simplifying a little..but it’s so satisfying to do. There are plenty of step-by-step tutorials online to find the right technique for the plants that you grow. Just be sure to save the biggest flowers and the most-perfect specimens for your seed saving! They will store for years! If stored correctly, you could be using your seed for the next 3 years or even longer if you’re lucky. Saving your seed in this way preserves the family heirloom varieties that have been grown for hundreds of years! Make sure your seeds are 100% dry with no signs of mould before sealing them in an air-tight container. You could use old jam jars, spice jars, Tic-Tac boxes, film canisters or brown paper envelopes. Just remember to label them with their plant name, variety and the date. Then store them in a cool but frost-free, dark place until you need them. Oh and one other thing, if you plan on storing them in a shed, keep them inside a metal tin. I learnt the hard that mice LOVE pea seeds, beetroot seeds and anything else they can get to! If your original plants are labeled ‘F1’ this means they are a hybrid variety from two different parents. They have been specially designed for disease resistance, new and exciting colours, bigger or longer plants etc. But saving F1 seeds can be risky. They could give you a poor gemination rate and result in a weak and defenceless plants. On the other hand they could do really well! Like I said, It’s just a bit risky. It doesn’t mean you can’t use them in other ways. Pumpkin and squash seeds make great snacks – even my gerbil appreciates them! So you have grown a number of different squashes and pumpkins and you want to save the seed? Well, those busy bees that pollenated your Crown Prince squash might have also popped over to the Butternut squash for a visit. This means the seeds will be your own hybrid, taking on the charaterists of both parent plants. This could be pretty fun to experiment with..but having not had a successful harvest in previous years, I haven’t had the chance until now. The results could be iffy and potentially a waste of time and space for an experiment. For much more indepth information, pay a visit to Matt’s blog at Grow Like Grandad to read his fantasticly well written and informative blog post all about wheather your should save your pumpkins & squash seeds – it is well worth a read! I am just a beginner after all so don’t take my writing as gospel! What seeds do you enjoy saving? If you would like to take part in a seed swap please do get in touch. Perhaps I should arrange something for early spring… Let me know your thoughts! Great blog!!!! I always have so many seeds!!! Buying and saving!!! But I love your note that they adapt to your own micro climate!! I have only been doing veg for two years now but I had a greenhouse built this august so very excited for next year!!! Thanks yea loving my new greenhouse now!! Maybe I have way to many tomato plants, but yea it’s addictive . I haven’t blogged for ages, consumed with gardening!! Your instagram and blog are brilliant! A good post. I generally save the seeds of most of the annual flowers that I grow such as cornflowers, cosmos, nasturtiums, pot marigolds and sunflowers but not vegetables. I often send collected seeds to online friends, and also receive seeds as well.